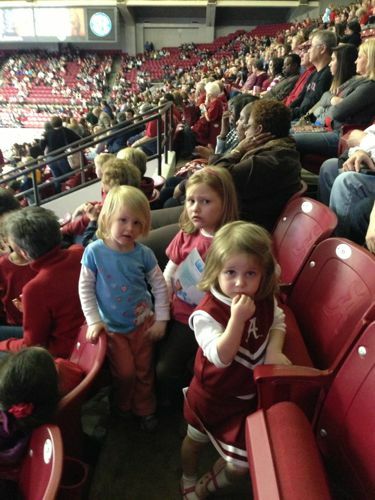 We went to a gymnastics meet with the Grissoms. UA versus LSU. It was a great meet, and despite the seat-swapping and the fact that our seats were double-booked, we had a great time! We won by a point or so.